We are vacay vibin' with our newest wedges sandals this SS19 season! Featuring a three t-bar strap fit with an ankle buckle fastening, these luxe faux leather espadrille wedges give a braided rope platform sole for that extra sass! 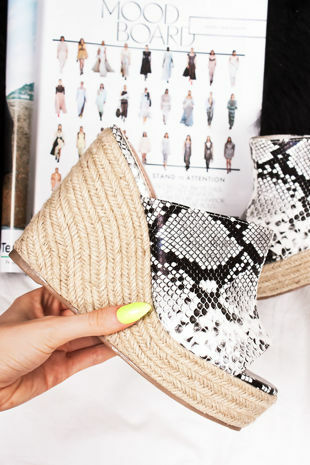 Style these chic snake print sandals with a split leg maxi dress to slay this summer!